Sports camps come in many varieties, from an overall sporty camp for all ages to intense training for a specific sport. With summer vacation just a few months away, now is the time to start the research and sign up process. Here are some tips for choosing the right camp for your child. What does your child want to do this summer? Do they want to play lacrosse everyday? Do they want to just run around outside? There are camps for that. Chances are your child already has a camp in mind. Once you choose, you will be able to narrow down your options. You can’t beat a good referral from a parent who has sent their child to the same camp. Plus if they know your child, they can help recommend a camp suited for your child’s needs and personality. As the internet savvy parent you are, browse the reviews on Google or Yelp for the camps you're interested in. Don’t dismiss a camp if you see one bad review. But if the camp has an overwhelming number of negative reviews, it’s probably a sign to consider a different option. For a more determined athlete with a bright future in the sport, look into college camps. Most college athletic departments offer a variety of sports camps. Many of these are geared towards high school varsity players. If your child has a favorite college team or is eyeing a specific college, look into summer programs they offer. Staff - If your camp advertises for a celebrity coach (usually former pro player or coach), call and ask about that coach’s involvement. Many times the featured coaches just license their name and curriculum to camps without a physical presence. Camper-Coach Ratio - The amount of attention your child gets will depend on the camper to coach ratio. 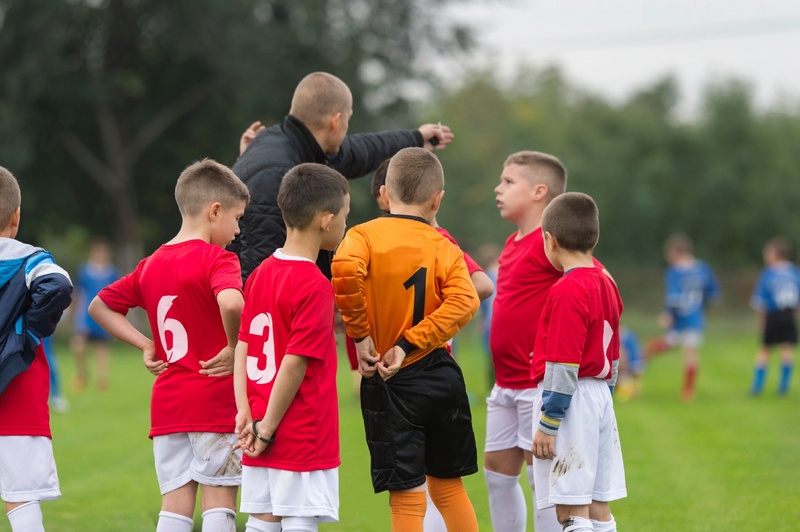 If there are too many kids per coach, they may not be able to give your child extra instruction when they need it. 6-10 players per coach is an ideal ratio. Some camps even set aside time for individual evaluation and improvement of each camper. Facilities - Your child doesn’t need a state of the art super-dome arena for camp, but you do want to make they are playing in a safe, up-to-date and clean facility. Ask the camp director for pictures of the facility to help you make better choices. Food - This is important to ask about, especially if your child has an allergy. How will they accommodate for food allergies? Will they serve nutritional food or cheap pizza? If your child is bringing their lunch, will they have a refrigerator available? Camps are a great way for kids to build skills, create memories and have fun, especially if you put effort into finding the right one for your child. Above all else, look for a camp that you know your child will love, and you feel comfortable and safe sending them to.